In this beer blog, we are going to get into a brew from one of my favorite breweries from New York City. 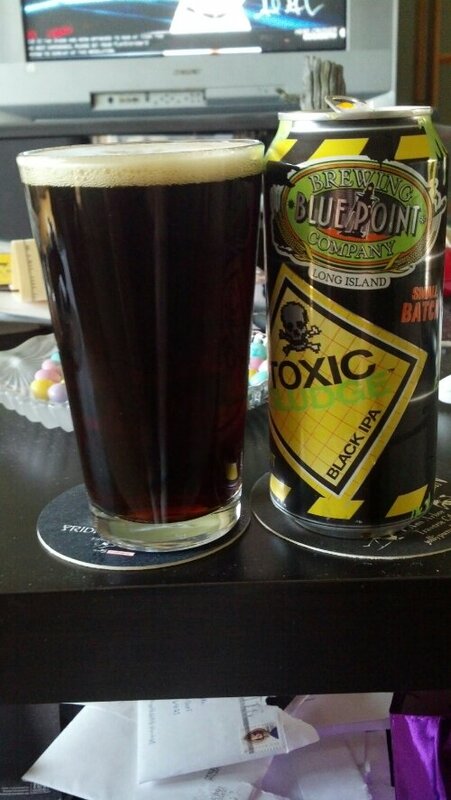 It is Blue Point Brewery and it is their Toxic Sludge Black IPA. Blue Point was founded on the Long Island in 1998 by Mark Burford and Peter Cotter. Blue Point is the largest craft brewery on Long Island and they are ranked #34 on the craft breweries in the United States. They brew several different beer styles. Let us get into beer. It has a dark brown color that if put up to light you can see it but not see through. It has a constant white head on the beer. The smell is slight coffee to chocolate with a hint of smoke malt. The taste has a chocolate to citrus with a dry hop finish at the tip of the tongue. It is like they use a Stout and India Pale Ale blend. This big beer is pretty drinkable. We originally brewed this Black IPA to benefit birds affected by BP’s Gulf oil spill and donated all of the proceeds to the Tri-State Bird Rescue and Research. The charity program has ended but the beer became so popular that even with a name like Toxic Sludge, we had to keep brewing it once a year. Five hop varieties go into each batch at four stages of the brewing process to combine a hoppy India Pale Ale with a rich, dark malt base for a full-bodied ale that’s big on flavor.